Scotty the Body roamed the crowd at Tampa Pro to find superstars running Shaqueefa and randoms holding it down in district out back that has come to be known as Tampsterdam. It's quite a diverse audience in the skateboard contest crowd at a Grind for Life event. From tykes to girls to men over 50 skating, you're guaranteed to find something entertaining. Amelia was on site to chat, including busting Jared for taking a dump on The Boardr Bus RV, an known no-no among the crew. This edition of Shopping with The Body is an interview with Ragdoll to catch up on Hurt Life, his new skate company, along with a few questions on his past. In our regular travel crew of #boardrboys, most of us are dads. Modern Day Dads recently did an interview with Ryan about how becoming a father changes things, how to balance it all, and how amazing and rewarding it is. Here's to all the parents out there getting it done, especially the ones passing along the love of wood and wheels. HiDefJoe caught up with Clint Walker while we were recently in Las Vegas for a new episode of On The Boardr with Clint. Who ignored Clint's sponsor me tape? Why can't Clint get a shoe sponsor? Who is Jock and why does Clint hate him? He started filming for his X Games Real Street part just four months ago and discusses all that and more. It's a nice view into Clint's personality, too. Hey sketchy skateboard industry, let's get some shoes on this dude! When we started The Boardr Store earlier this year, Stevie Williams and AYC were immediately down. During their recent lookbook shoot, I was able to talk some business with Stevie about starting AYC, his past ventures in skateboarding, and what some of his favorite gear is. I agree with Stevie that some of your most valuable lessons can come from your failures, too. We discussed when to throw in the towel on a project and more. Former Element pro, Donny Barley, is working on the business side of things with Element and Plan B now, so I had to start the water cooler chat with him about everything from life advice, to the state of skateboarding today. Thanks Donny for the great advice and interesting insight into having a job and business in the skateboarding industry. Most of us can't be pro, and a job in skating is definitely the second best thing, but you're going to have to have some ducks line up properly to get a good one, of course. Listening to this great advice and experience from Donny will help. 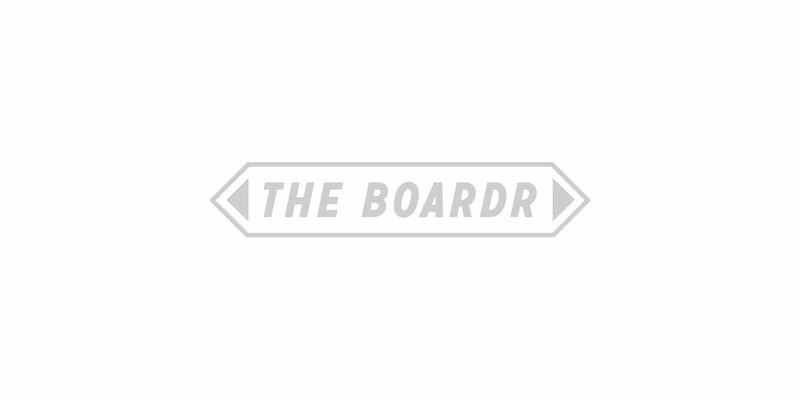 This week we're welcoming Asphalt Yacht Club to The Boardr Store. Instead of me interviewing them, they flipped it around this time and interviewed me. We talked about skate business and retail being tough, times where my favorite shoes must be placed in my mouth due to loose lips on the keyboard, and all the nerdness I'm attracted to like stats and reports on skateboarding. That one site for the grown ups in the skateboard industry that reports on all things bid'niss has an interview with us where we discuss events, retail, our past, and our future with The Boardr. Thanks Shop-Eat-Surf for the chat. We're welcoming Stereo to The Boardr Store this week so I stopped and talked with Chris Pastras aka Dune. He started Stereo with Jason Lee back in 1992. I made the conversation mostly skateboard bid'niss as I'm doing with most of these interviews. As I get older and spend more time working in the industry, I get more and more interested in others' stories about their experiences working in skateboarding. There's a thousand different ways to either create or get a job for yourself in the skateboarding industry and I'm continuing these chats with people here and there on how they're making it happen. Our friend Chinner packed it up from California and moved to the other end of the world for a skateboarding job. He lives in South Africa! Crazy. He's doing local skate events and other things with the World Skateboarding organization. This weekend, he's using The Boardr Live. I caught up with him to discuss how it's going for him down there. Mike Sinclair has been working in the skateboarding industry on both the am/pro side and the business side spanning over 20 years, much of that time working with us on all kinds of skateboarding events. I had a chat with him on everything from social media, to how he came to run side projects like ESPN's Real Street. Austin England did the illustrations for The Boardr Store. He's yet another Tampa transplant that is getting a foothold in working in the skateboarding industry out in Los Angeles. Austin's artwork has always been some of our favorite among this great community of artists that skateboarding attracts. I asked him a few questions about his move to LA and how that's going. Are you thinking of diving into California living? Hear some words from Austin about it and check out some of his work here. We would like to welcome Cliché to The Boardr Store. I had a bit of a skateboard business chat with Al Boglio who has been the Brand Manager at Cliche for the last 10 years. We talked about social media, the flow program, and the history of the company. Braydon Szafranski is a character. Whether you are talking about face tats, hitting the stage with Lil Wayne, or partying on the Sunset Strip, Sza is in a league of his own when speaking of originality. So it should come as no surprise that his vehicle has some personality, as well. This dude at Forecast Magazine in Europe that interviewed Ryan Clements got him talking about everything from a bit of what we're up to these days to what went down at Skatepark of Tampa that broke the best bid'niss/friendship team in the world to pieces. Spend a minute with Daryl talking about his approach for filming his Chronicles 2 part. For as long as I've been skateboarding, it has had such an entrepreneurial spirit. Everyone in skateboarding from young to old seems to have some attitude of 'do it yourself,' not just in creating skate spots, but in making a living, too.